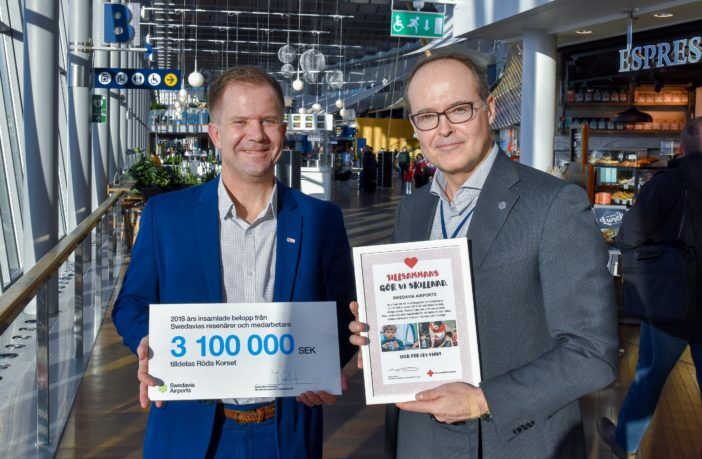 Passengers and employees at airports across Sweden donated more than Skr3.1m (US$338,000) to the Red Cross in 2018. The donations are the equivalent of part-funding 4,300 disaster packages, each of which includes warm blankets, basic foodstuffs and clean water for four people for one month. Alternatively, it could be used to fund drinking water for 41,000 people for a year. In addition to the care packages, Swedish airport operator Swedavia helped fund the Red Cross’s study assistance and language training programs for young people in Sweden. Swedavia and the Red Cross have collaborated for many years, with the partners contributing to each other’s operations in a variety of ways. 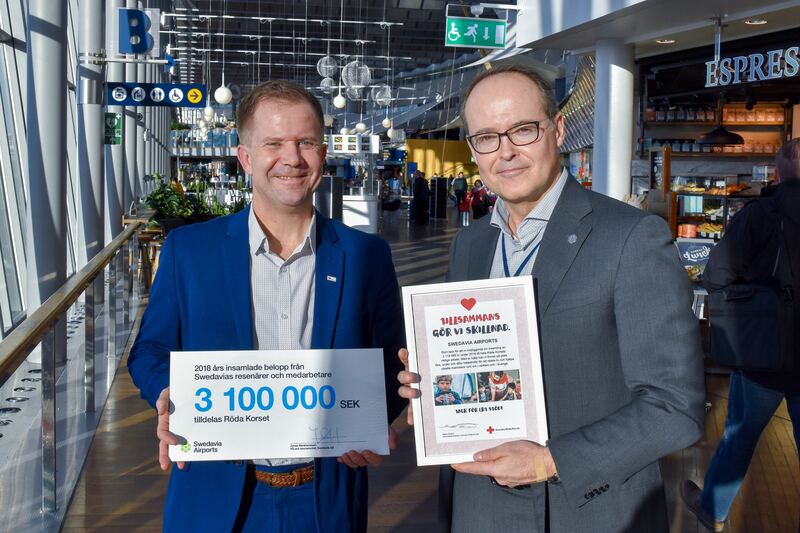 More than 100,000 people pass through Swedavia’s airports each day where they have an opportunity to donate money in special collection boxes, in both Swedish and foreign currency. “More people than ever, 130 million, need humanitarian assistance to manage their lives, and in Sweden too we see vulnerability on the rise,” said Martin Ärnlöv, secretary general of the Swedish Red Cross.